Pictures from Kaymu SME Saturdays. The first edition of SME Saturdays which held on October 25th,2014 attracted a large turnout of buyers who came to purchase discounted products. The sale integrated online and offline shopping experience in which buyers and sellers for the first time interacted physically in a fun environment with loads of foods and drinks. Kaymu staff led by the M.D, Evangeline Wiles was on ground to ensure smooth conduction of business transactions. 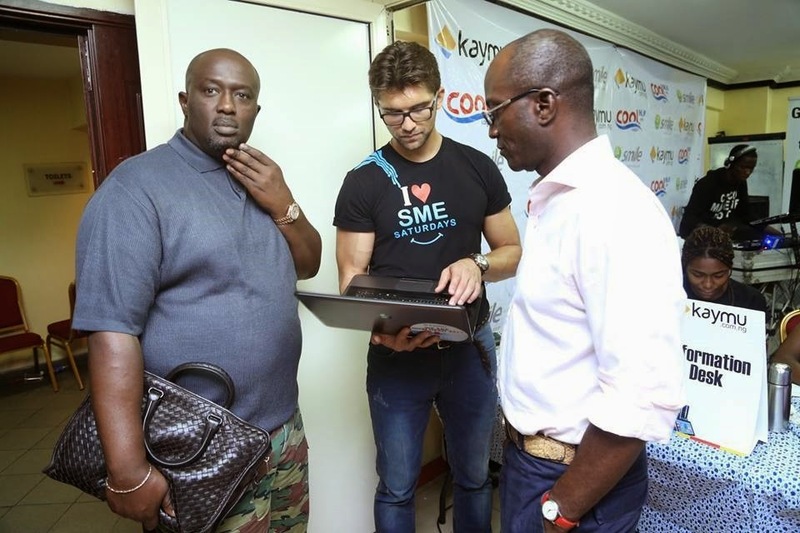 SME Saturday was driven to boost small scale businesses who do not have the capacity to market themselves independently, by exposing them to both online and offline buyers. The event was supported by CoolFM and Smile Nigeria. Kaymu is Nigeria’s number one safest online market place where buyers and sellers can meet and make the best deals for used or new products, such as: mobile phones, laptops, latest fashion and clothing products and home appliances. The fixed or auction pricing system guarantees the cheapest prices. Visit: www.kaymu.com.ng to explore its offerings.